The maximum number of ingredients on the board is 3. First break liquorice swirls, dark chocolates and jellies as many as you can. 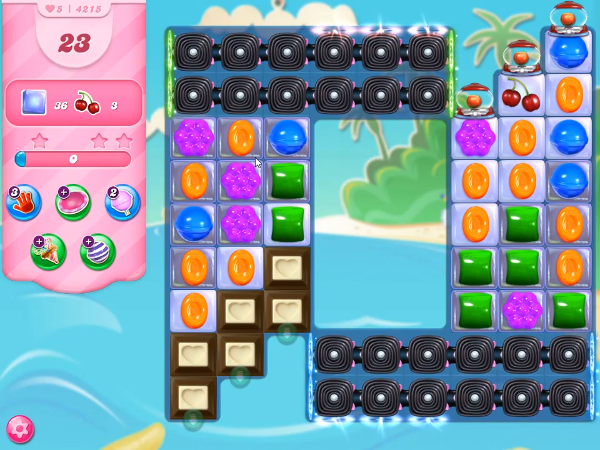 Then make lots of special candies and combine special candies to break remaining liquorice swirls, dark chocolates, jellies and to bring down all ingredients from right to left through teleporter to complete the level.